​​​Many parents find their toddler's bedtime to be the hardest part of the day. Children this age often resist going to sleep, especially if they have older siblings who are still awake. 1. Set up a quiet routine before bedtime to help your child understand that it will soon be time to go to sleep. Use this time to read him a story, listen to quiet music, or give him a bath. It may be tempting to play with your child before bed. However, active play may make your child too excited to sleep. 2. Be consistent. Make bedtime the same time every night. 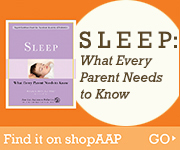 This helps your child know what to expect and helps him establish healthy sleep patterns. 3. Allow your child to take a favorite thing to bed each night. It's OK to let your child sleep with a teddy bear, special blanket, or some other favorite toy. These often help children fall asleep—especially if they wake up during the night. Make sure the object is safe. Look for ribbons, buttons, or other parts that may be choking hazards. Stuffing or pellets inside stuffed toys can also be dangerous. 4. Make sure your child is comfortable. He may like to have a drink of water, a light left on, or the door left slightly open. Try to handle your child's needs before bedtime so that he doesn't use them to avoid going to sleep. 5. Do not let your child sleep in the same bed with you. This can make it harder for him to fall asleep when he is alone. 7. Give it time. Helping your child develop good sleep habits can be a challenge, and it is normal to get upset when a child keeps you awake at night. Try to be understanding. A negative response by a parent can sometimes make a sleep problem worse.